Ashley Bradshaw works for Gary Cleeve, a Canterbury greyhound trainer who is also a great supporter of GAP. 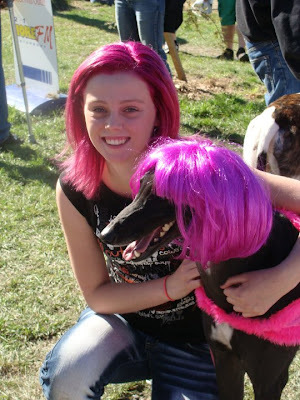 And now -she also has a greyhound blog!!!!!!!! A while ago, she adopted retired greyhounds from Gary: Berlin and Spider, who are now living in luxury at Ashley's place and are great Greyhound As Pets supporters, helping to find homes for other retired racers. 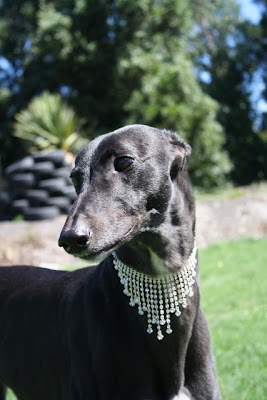 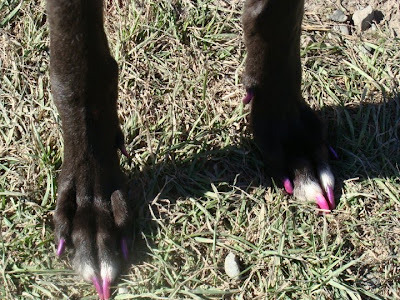 She has started a blog, where she will make regular posts on how things are going so that people that own retired greyhounds can see what it took to get their greys to the track and to become pets. 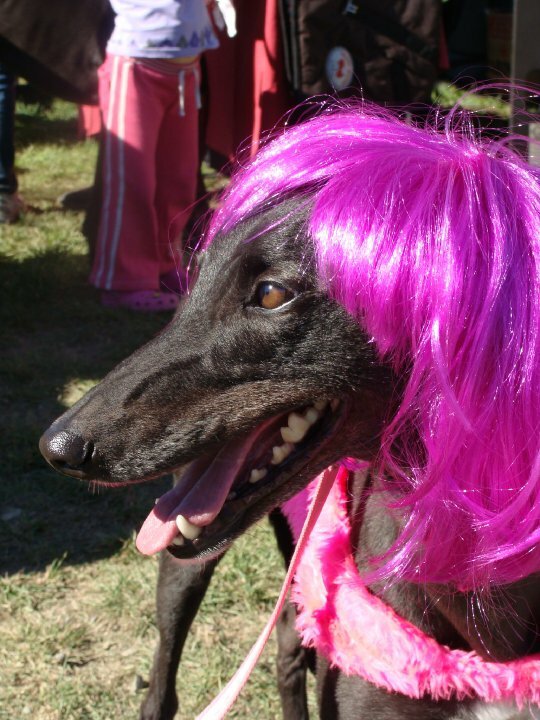 LOVE the wig!!!!!!!!! I need one for Lucy!